Under the direction of Founder Lyn Williams OAM, Sydney Children’s Choir has built a worldwide reputation for choral excellence over its 25-year history. Every week over 500 children, aged 5-16, rehearse in one of the organisation’s 10 training and performance choirs; today’s performance will feature the Junior Performing Choir, comprising talented young singers between the ages of 9 and 12. At home, the Sydney Children’s Choir is frequently invited to perform with some of the world’s most acclaimed orchestras and conductors including Michael Tilson Thomas and the YouTube Symphony Orchestra, Zubin Mehta and the Israel Philharmonic Orchestra and with the Sydney Symphony Orchestra under Edo de Waart, Charles Dutoit, Vladimir Ashkenazy and current Chief Conductor David Robertson. The choir’s numerous performances with the Sydney Symphony have in recent seasons included Tchaikovsky’s The Queen of Spades, Mahler’s Symphonies No.8 & No.3, the Lord of the Rings trilogy, as well as Sibelius’ Kullervo, Britten’s War Requiem and Orff’s Carmina Burana. Later in 2014 the choir will work with Sydney Symphony again in performances of Jandamarra, a new commission by Paul Stanhope, in which they will be joined by the acclaimed Gondwana Chorale and Gondwana National Indigenous Children’s Choir. Sydney Children’s Choir regularly travels the globe, performing Australian choral repertoire to great acclaim. In 2013, the choir went on its 10th and longest international tour to Europe, with performances at the world’s most prestigious choral festival, Polyfollia, in Normandy, France and at St John’s Smith Square, Westminster Abbey and St Paul’s Cathedral in London. Further touring highlights have included appearances at the International Society for Music Education World Conference in Beijing, the International Sympatti Festival in Finland and World Expo in Aichi, Japan, as well as concerts in Indonesia and Singapore. The Sydney Children's Choir has commissioned over 100 works from leading Australian composers and performs a significant number of Australian compositions each year, touring them extensively across the world and Australia. The choir also regularly records for radio and film and are featured on the soundtracks of Moulin Rouge, Happy Feet and Australia. Their most recent release, an EP titled Legends & Dreams, is available through iTunes and was released on the ABC Classics label. 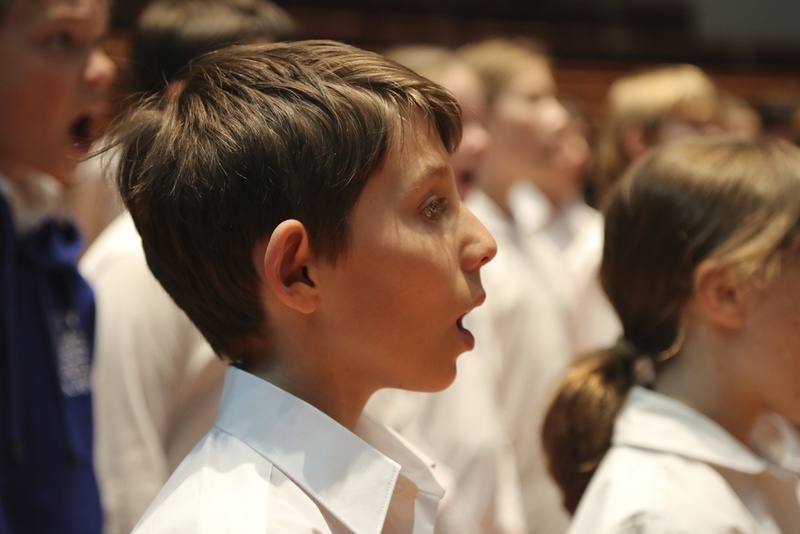 In 2014 Sydney Children’s Choir proudly celebrates 25 years of Australian choral music. Sydney Children's Choir appear as the apprentice chimney sweeps in The Chimney Sweep in 2014.